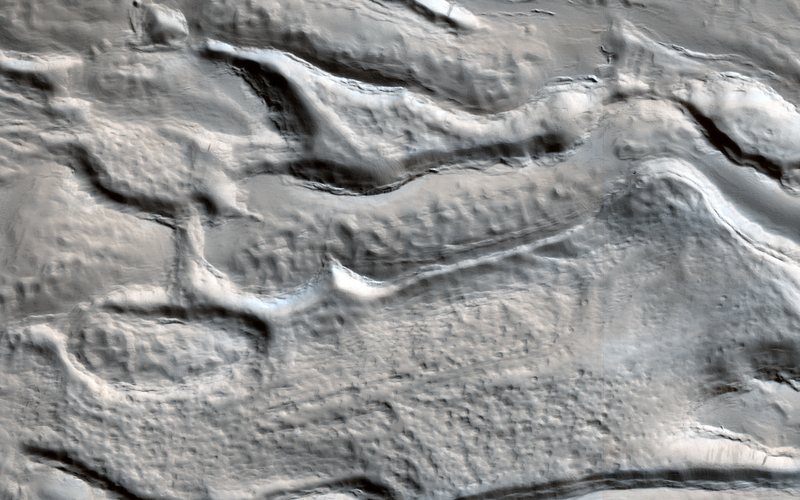 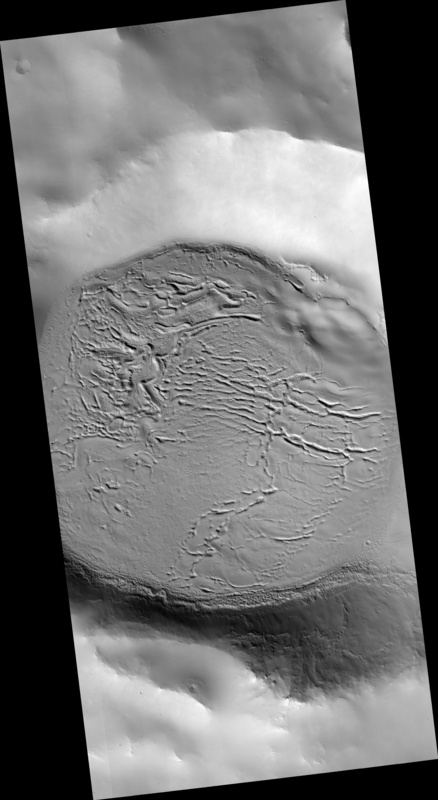 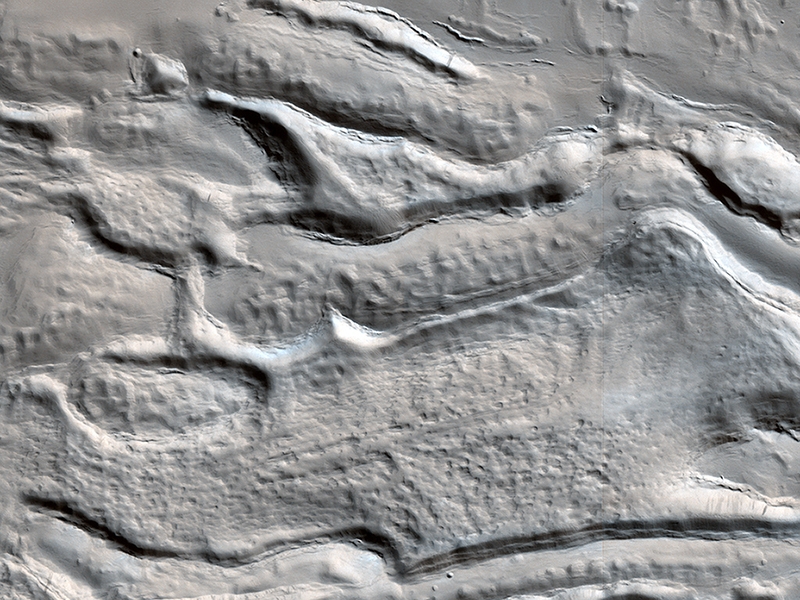 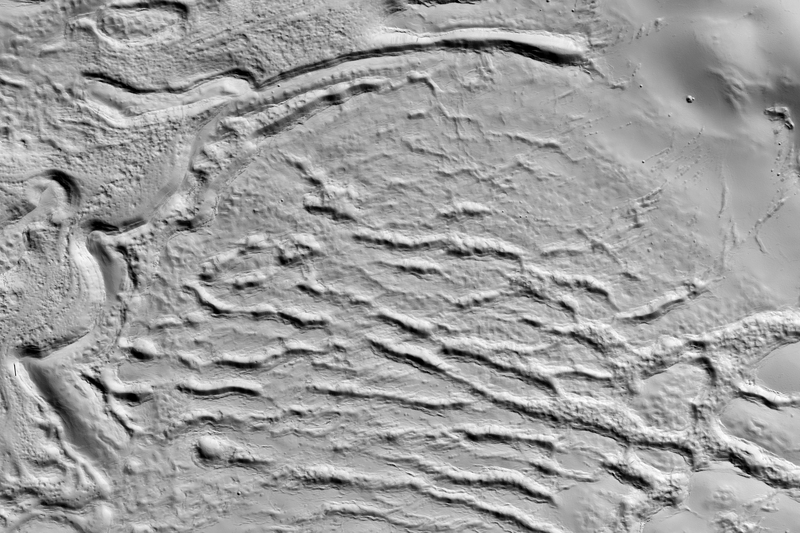 The material on the floor of this crater appears to have flowed like ice, and contains pits that might result from sublimation of subsurface ice. The surface is entirely dust-covered today. 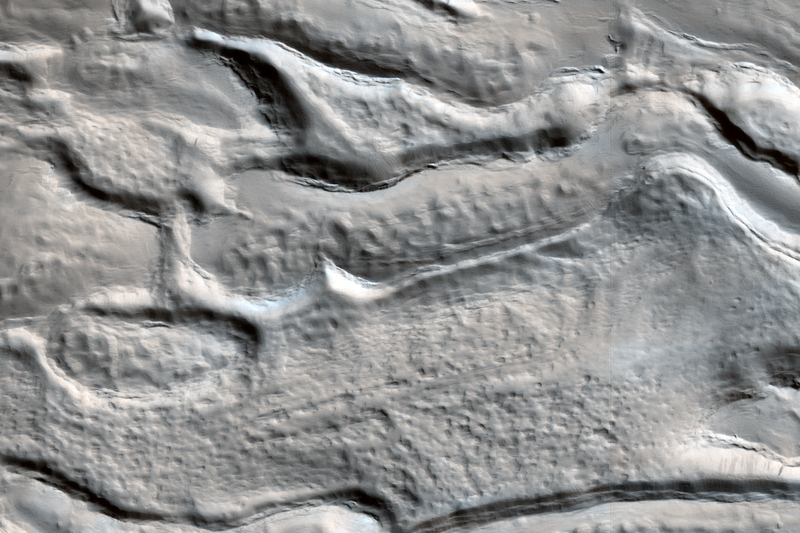 There probably was ice here sometime in the past, but could it persist at some depth? This crater is at latitude 26 degrees north, and near-surface ice at this latitude (rather than further toward one of the poles) could be a valuable resource for future human exploration. 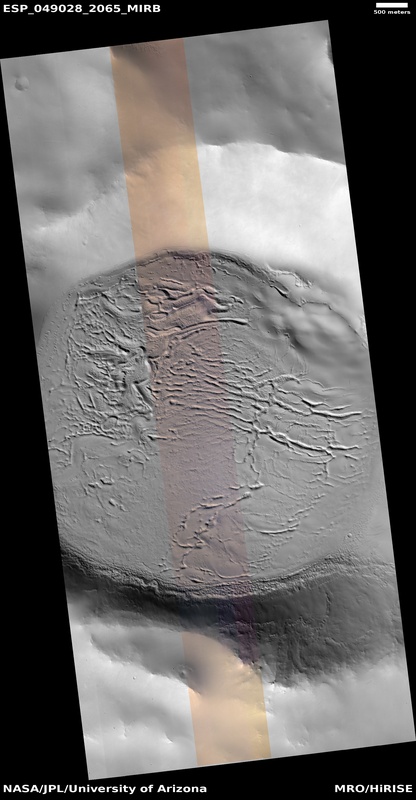 A future orbiter with a special kind of radar instrument could answer the question of whether or not there is shallow ice at low latitudes on Mars.